Saturday, June 3 from 10:00 a.m. until 6:00 p.m. 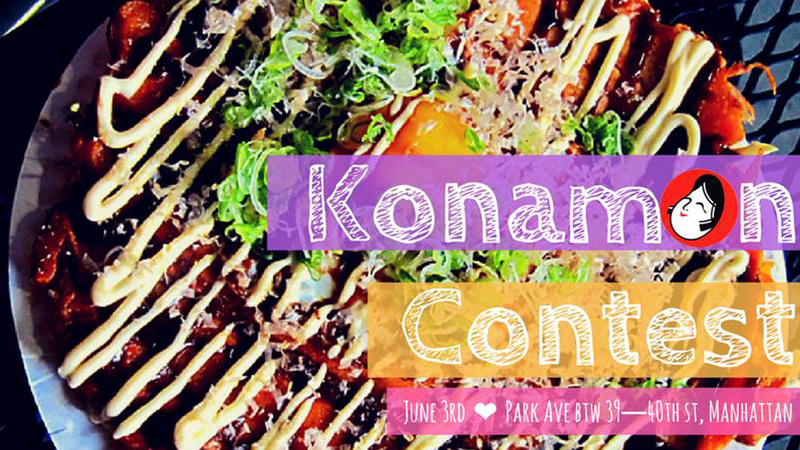 Sponsored by Otafuku Sauce, JAPANFes brings the first konamon contest to New York! Konamon is Japanese flour-based foods such as takoyaki, okonomiyaki, and yakisoba. Local konamon vendors will go head-to-head to see who will be crowned the first Best Flour Dish Vendor in New York as voted on by JapanFes attendees. Explore the array of Japanese flour dishes and vote for your favorite. One dish is $8; buy three and get a free drink. There will also be many other types of delicious Japanese cuisine and products available. Stay updated by following the JapanFes feat. Konamon Contest Facebook event page. Which train do I take to get there ? I’m coming from Queens and have access to E F R and M trains. You could take the F or M to Bryant Park and walk a few blocks to Park Avenue. I suggest using Google Maps or the Citymapper app to put in your exact starting point for more accurate directions. Have fun at JapanFes!